You may remember that last year when Art and Makeup came out I completely fell in love with not only the book but the creative force behind it, Lan Nguyen-Grealis. 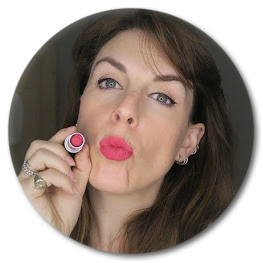 A genuine make-up maverick who has spent the last 14 years working her way up, completely self-taught and doing things her way. Any opportunity I have to see her work I take so I was thrilled to be invited to the Art & Makeup Seminar which was organised by Lan to showcase how she does some of her most iconic looks but she invited some incredible artists along to show their work too. It was really like an event planned for me - Daniel Sandler and Phyllis Cohen were two of the other artists and I love their work and the products that they create (and love how different they are). The third artist was Ruby Hammer who I have longed to see in action since discovering her as one half of Ruby & Milly the fantastic cosmetics line that is sadly no longer being made. The winner of the Louise Young brush, concealer trio and Philip Kingsley Elasticiser is Silvia Ferreira - huge congratulations, I will get your products out to you as soon as I can. I have a new light (thanks Mr H) and it's a bit bright here but hopefully you get the idea of how to use this palette - I'll hopefully have it sorted for the next video. Any questions then do leave me a comment and let me know if there's anything you're having trouble using and I'll do my best to help. This is currently back in stock in Space NK and you can read my original review here. I'm always being asked for recommendations and taken make-up shopping with friends who find the whole thing a bit daunting. Even I do sometimes, you go in determined to get something and you get persuaded into something else which is sometimes a good thing, sometimes bad. Charlotte Tilbury is an incredibly popular new brand, and rightly so as most of the products I've tried are just fantastic. But that doesn't mean that they are all what you want and need. Nothing beats having a consultation with a good professional who works with the brand as they will have the best knowledge of the products but then they'll also be wanting you to buy stuff. 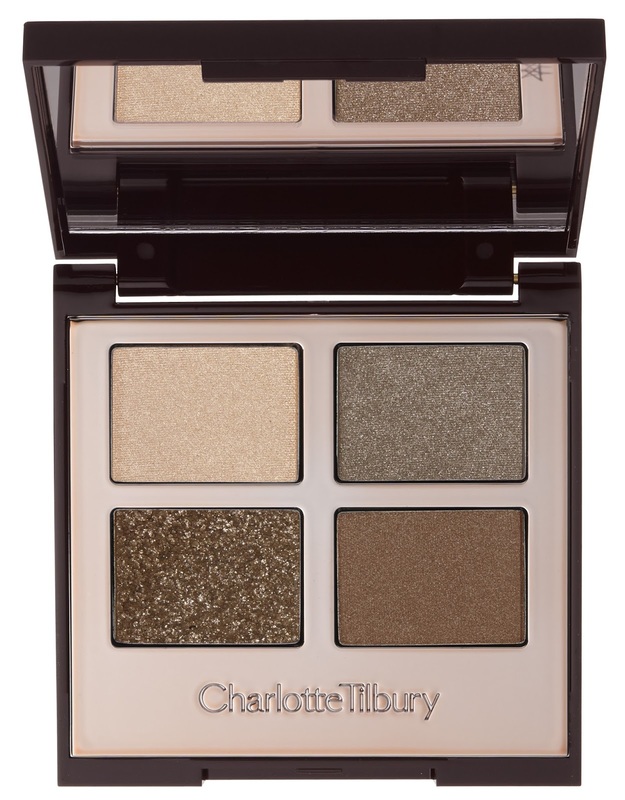 As a make-up artist not affiliated with any brand I'm going to tell you what products I would pick from the current Charlotte Tilbury range. This is as close as I can get to going into the shop with you. 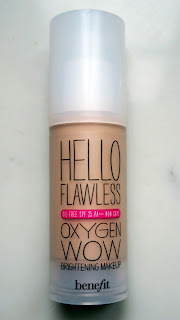 So my keenness to do a Quick Review of Hello Flawless by Benefit led me to believe that I had already reviewed it. I haven't and the more I use it or even when I just see it with all my other foundations the more I think I'm going to have to add it to the automatic re-buy list. I have mentioned that I have very mixed feelings about Benefit. I'm sure it's something to do with their packaging, now I'm over 30 maybe it feels a bit young for me, but some of their products are amazing and they have had some (sadlynolongerwithus) gems in the past: Talk to the Tan and the old Erase Paste (not the new, yuk). I think maybe I subconsciously feel like nothing that great can come in such youthful packaging. I know I'm wrong but that's what I think must be my problem with Benefit. Anyway, anyway, anyway every time I wear this foundation everyone comments on how great my skin looks. My skin is good, as in it's smooth, but I do have redness and discolouration in parts and so although I don't need a full-on coverage I do need buildable coverage for my red patches. I also really like having a foundation with SPF25 in it, unlike the usual 15 which often just isn't enough and therefore I'd rather add an SPF under my foundation. It also has PA+++ the highest UVA protection you can get (SPF protects against UVB). Some people really pull it out the bag when you have a baby and my friend A nailed it when Jim came along by giving me this and some delicious biscuits. Although I usually wear Coco rather than Coco Mademoiselle this is absolutely beautiful on the skin where maybe Coco would be a full on. And I love that if I apply this after the gym in the morning and then put on either Coco or Eau Dynamisante in the evening this will work with them rather than clashing. I usually believe that body products designed around a fragrance don't really do what they are supposed to, even if they are from brands who usually deliver great skincare, but this is a genuinely good body oil. It is quickly absorbed, nourishing and comes in a proper spray bottle with a lid. No naffing about pouring it into your hands and back into the bottle. If like me you have very dry skin then this is not enough on its own but as mentioned, I use it after the shower at the gym and it's just lovely and means that if I forget to put scent on I smell faintly of Coco Mademoiselle even by the end of the day. Regular readers will know I am no good at hair. But I know what I like the Philip Kinglsey's Elasticiser is a cult product that I buy over and over again. If you haven't tried it then you really should. And you could win it this month, it's one of three things I'm giving away. You can see my original review of Elasticiser here, I can still remember the feeling of amazement after first using it. This is basically all you need for a bit of hair tlc, give me this over a post-wash conditioning treatment any day. You'll also know that I love, love, love Louise Young products so I'm so happy to be able to include the LY34 the Super Foundation brush. One of her best sellers and a real must for those who want a well blended, flawless finish, you can also use this for powder and blusher - it's made from synthetic fibres so you can use it with powder and cream products and it washes beautifully. I'm also giving away one of the concealer trio's in Medium. I love the pinky middle tone on this, it's a wonder for covering dark circles, so I use that all year round and the other colours in the summer when I have a tan and will suit those with slightly darker skins. I love the slimline palette making it perfect for a handbag or make-up kit, the mirror is great and the brush perfect for pinpoint precision. As always the winner will be picked from the entries who are subscribed to my YouTube channel. Please use the Rafflecopter box below this post and it should prompt you to tell me your YouTube username - or just tell just leave me a comment below to let me know your YouTube name so I know who to look out for!